Yes, you read correctly. 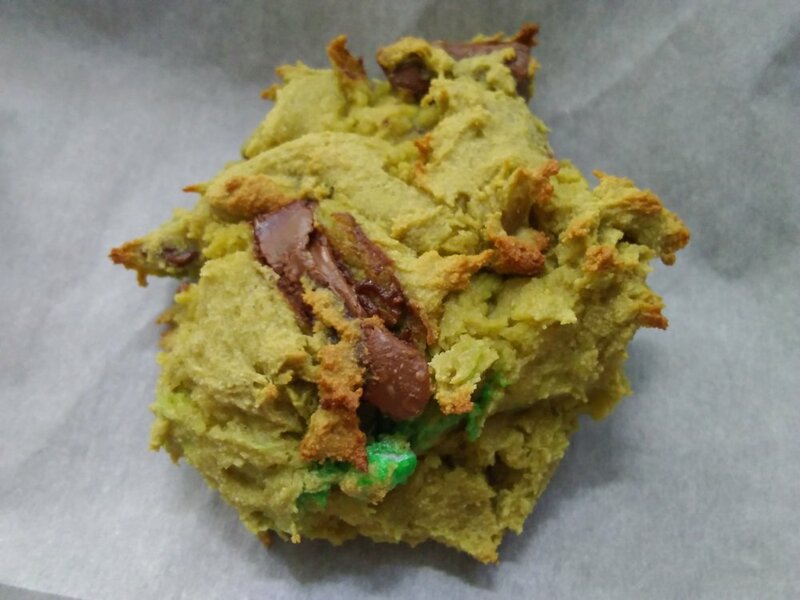 These cookies have a split personality: wholesome for their use of healthful avocado fats (instead harmful animal ones from butter) YET chock full o’ chunks of candy bars. Does the latter vice cancel out the former virtue? I think not. The plant lipids take the suppleness of these cookies to eleven and only contribute the mildest of botanical flavor. 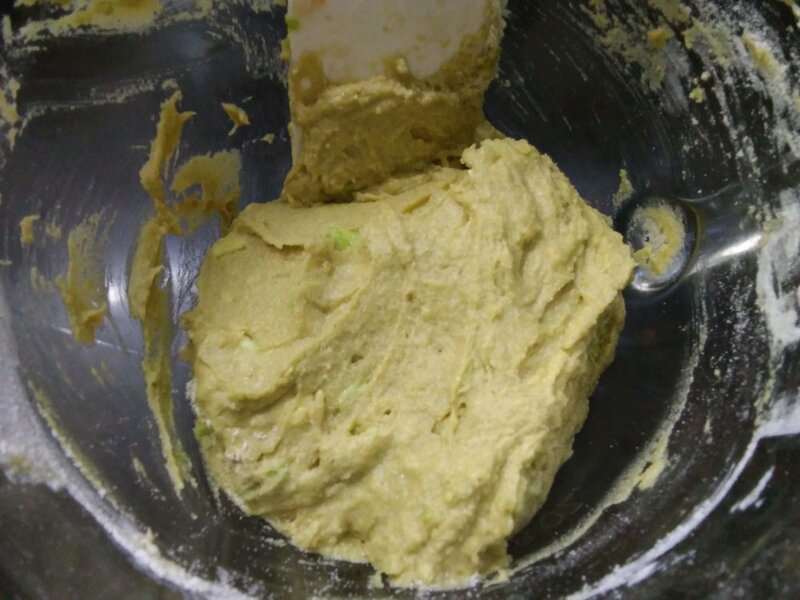 Combine avocado, sugar, egg, and vanilla extract in large mixing bowl. Set aside. In separate smaller bowl, whisk together flour and baking soda. Gradually incorporate dry ingredient mixture into wet ingredients. Fold in candy bar chunks. Using a spoon, place golfball-size scoops evenly spaced on baking sheets. Bake 8-10 minutes until just set.